I received a fun bit of postal mail this weekend. 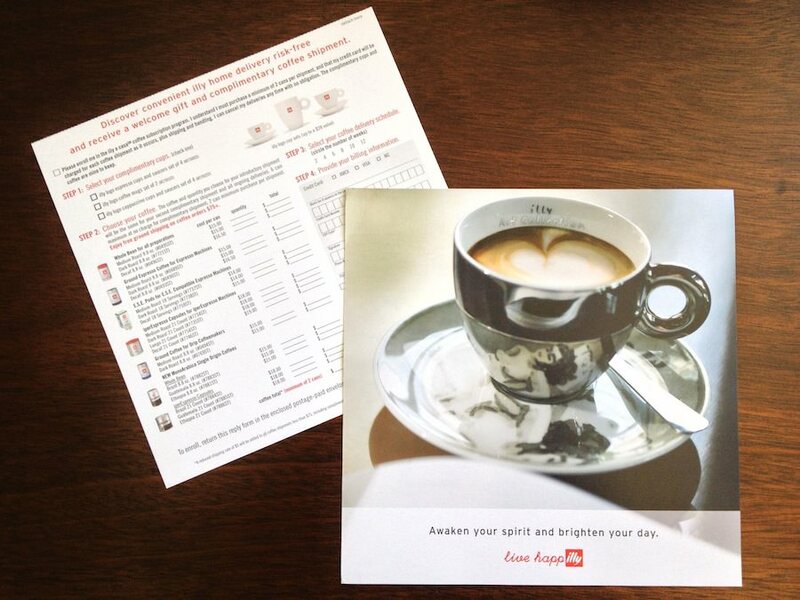 A postal from illy (love their “live happ-illy”). For the past year, I have been receiving a bag of beans every few weeks from the folks at Tonx. I have mentioned before there are many options for subscription bean delivery but it is always hard to know what you will get. Tonx offers an unknown, as they send the latest they find. 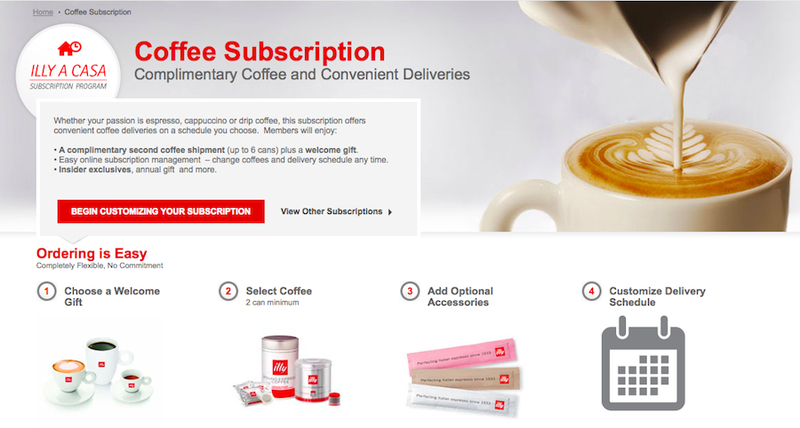 For those not wanting to live on the edge, illy might be a solution to having great beans or capsules and pods delivered right to your door where you will know in advance what will be arriving. The card in the mailer offered three different cup/mug options to enjoy at no charge as a complimentary addition to subscription. Then, different coffee delivery types divided into Medium, Dark and Decaf roasts. Finally, how often the delivery should be every: 2, 4, 6, 8, 10 or 12 weeks.